Why Should I Choose Remanufactured? There are many different ways to go about getting your industrial equipment back in working order after a malfunction occurs. Saving money on replacement parts by not buying new ones is not a bad idea, but it does present you with a choice: do you buy recycled, repaired, restored or refurbished, used, or remanufactured parts? While often used interchangeably, these terms each mean something different. Recycled – Reliability with these kinds of parts can be questionable, since they’re often removed from a scrap machine and resold with little to no work done to the parts. Repaired – A broken or worn-out part that has had just enough work done to it to be operational again. Restored or refurbished – A part with a cosmetic repair job that is meant for display only. Used – A part that has been used before, and is presumably in good working order. No work has been done to correct problems the part may have. 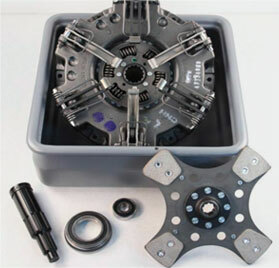 Remanufactured – A part that has undergone rigorous restoration to like new condition and to match OEM specifications. The part is tested to ensure that it functions as a new part would. Remanufacturing is clearly the best among these options. Here are four reasons to choose remanufactured parts when you’re looking to keep your equipment running. Quality – As you can tell by looking at the options above, remanufacturing offers you the highest quality replacement part. Testing within strict guidelines ensures only top-quality remanufactured parts end up in your industrial equipment. Warranty – Nothing beats the peace of mind that comes with a warranty. Not only is the part covered if something goes wrong, but typically labor costs are included as well. Updated standards – A part from a vehicle that was manufactured 20 to 30 years ago probably has undergone some design improvements over the years. When choosing a remanufactured part, any engineering improvements are made to the remanufactured part. This means that your remanufactured is almost certainly better than the original it’s replacing. Limited downtime – Rather than waiting for your part to be repaired or rebuilt, you can immediately install a remanufactured part. Eagle Power & Equipment is proud to offer remanufactured parts with original specifications that are warranted for at least one year (engines two years). Be sure to give your local Eagle Power & Equipment dealer a call, or feel free to send us an email at info@eaglepe.com. Posted in Remanufactured Parts and tagged heavy equipment parts, industrial equipment parts, remanufactured components, remanufactured parts on April 21, 2017 by Eagle Power.